I was pointed to an antivaccination article, on the Political Blindspot website, which is dedicated to finding news articles swept under the rug by mainstream media. The raptor always gets his feathers ruffled whenever the word “mainstream” is used. why measles? Because it is a highly infectious and contagious respiratory disease. Without oversimplifying it, the measles virus, because it is passed from one person to another through coughing or sneezing, if one person carries it, the virus seems to search for all of those individuals who are not immune. The disease spreads faster when there are pockets of unvaccinated individuals. If you look at this map at a meta level, it’s pretty clear that Mitt Romney won the election. 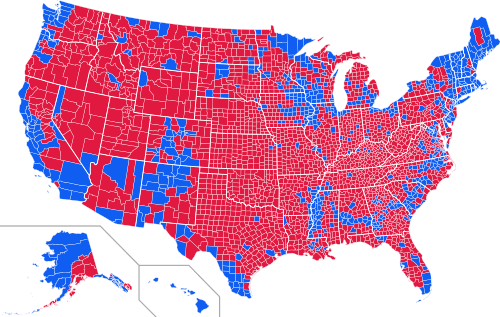 This conclusion results from the general appearance of many more red red Romney counties relative to blue Obama counties. Objectively, Romney won 2259 counties and Obama only 649. This would appear to be a landslide win for Romney. Except, that conclusion would only be true if all counties were equal in size. Factually, we know that President Obama won 51.1% of the vote. This is because generally the blue counties are much more populous than the red ones. 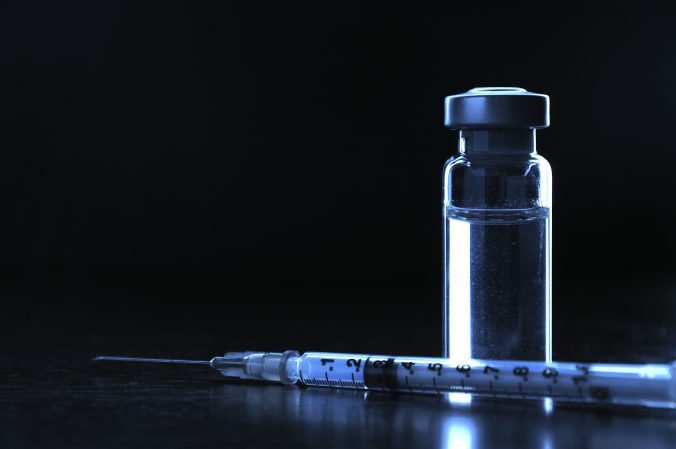 Measles cases were up over 80% in 2014 over 2013 in the USA. And over 80% of those infected were not vaccinated and occurred in very small clusters that had vaccine refusal rates substantially above the surrounding state and the USA as a whole. We all heard about the Texas church that had 21 cases of measles because their ignorant pastor said that vaccination was un-biblical (though he subsequently changed his mind, and told his sheep to get vaccinated). 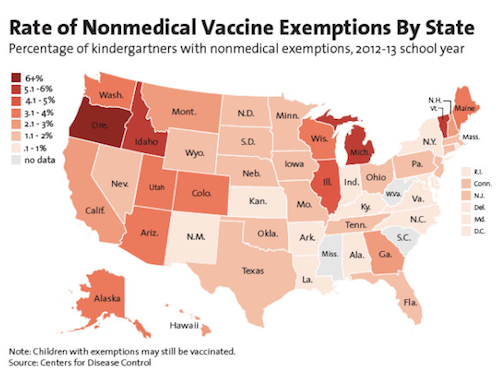 Texas has a low rate of vaccine exemptions, less than 2%, yet the outbreak happened, because within the state was a localized cluster of large rate of vaccine exemptions. Here’s how it works. You can find data that supports anything you want. It doesn’t mean it is well done data. It doesn’t mean it’s actually statistically significant. But I guess you could be antivaccination writer for Political Blindspot, find a pretty map, and then cherry pick vaccine statistics to support your unsupportable beliefs. Or you can use real math, dig for real data, and find out what it tells you with mathematical analysis. Real authors had to go through the peer-reviewed process and get their article published in Pediatrics. Oh, also the authors of the real science article that uses real math all have MD’s and/or master’s/doctorates in Public Health. And years of real scientific and public health experience. A total of maybe 100 years of education and knowledge. On the other hand, we have some fool, who appears to lack even 3rd grade math, writing about vaccine statistics on a website filled with lunatic conspiracy theories and nonsense. This article was originally published in April 2014. I have updated it with newer information and fix a few broken links.